Presenting the LPL Research Outlook 2018: Return of the Business Cycle, packed with investment insights and market analysis to guide you through all the action we may see in the year ahead. 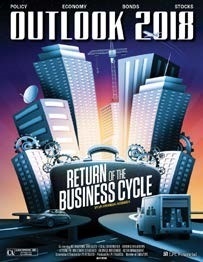 “Return of the business cycle” refers to a return to the traditional forces that have historically propelled the economic cycle forward. Instead of relying on central bank intervention and accommodative monetary policy, we’re turning to some new lead characters to take charge: fiscal policy and better business fundamentals. Fiscal policy means increased government spending, tax cuts, and some regulatory relief. We need Congress to enact some policies to help keep this expansion going. As far as business fundamentals, we expect to see improvement in revenue, earnings, and future growth prospects. Increased business spending is also expected to play an important supporting role for the U.S. economy, and could see a faster growth trajectory in 2018. For stocks to potentially reach attractive gains, earnings growth will be a key driver. Better global growth is supportive of earnings, and tax reform has the potential to provide an additional boost. All of these factors, and more, will be important to watch in 2018. 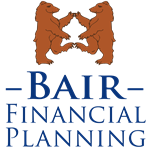 We have experienced a fundamental shift in what’s driving the economic cycle. Businesses and investors may be well positioned to benefit from this new dynamic. The LPL Research Outlook 2018: Return of the Business Cycle highlights the opportunities and potential challenges that may lie ahead for market participants. This guidance and investment insight can benefit investors in their search for long-term success. Download your copy today!